With 99 global rank, flipkart.com is most visited Indian website Globally. An E Commerce giant which is by far biggest online shopping website in India. With 119 global rank, Indiatimes.com is second most viewed Indian website in world. Online portal of The Times group, a leading media house of India. It is first choice of world wide public to look for Indian news. Number One Indian bank in terms of account holders. Its online banking website is 3rd most visited Indian website. Site’s global rank is 221. With 195 global rank, snapdeal.com is fourth most popular Indian website around the world as of April 2016. Another E Commerce company which is making it big in India. It is backed by many top investors in world but most prominent name is Ratan Tata. With 255 global rank, HDFCbank.com is 5th most visited Indian website. HDFC is 5th largest bank in India and one of the most popular bank among urban customers. With 286 global rank, ICICIbank.com is 7th most viewed Indian website globally. ICICI is largest private sector bank of India. Site’s Global Rank is 305. It is Online Ticket booking portal of Indian railway which is now prime source of reserving berths in train. An Indian E Commerce website and Mobile Wallet Company which is gaining momentum very fast. 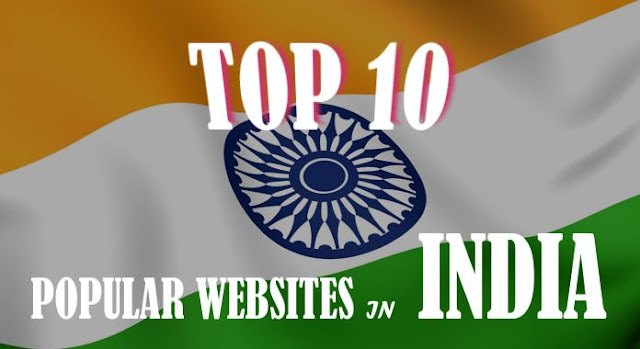 Currently 8th most visited Indian Website worldwide. With Global rank 401(Declining Significantly), Jabong.com is another E Commerce website in the list of top 10 Indian websites.